A move by lighting supplier Atrium gave it new space for offices and a showroom. 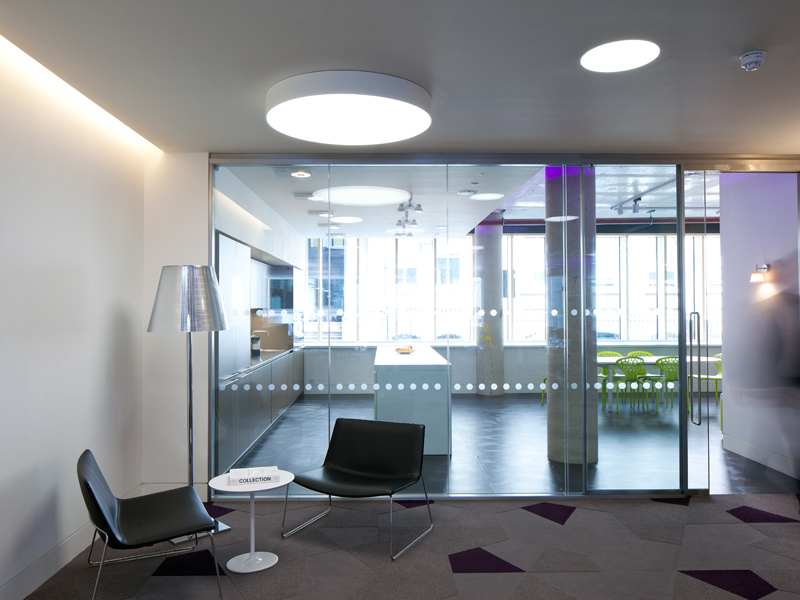 BDP was tasked with providing new interiors and a lighting scheme that included showcasing its range of luminaires. Having been in Tottenham Court Road's iconic Centre Point since 1986, lighting distributor Atrium has relocated its London headquarters to a spacious new home in Shoreditch. BDP led the design for the new interiors and lighting scheme for the showroom and office space on two floors in a building designed by AHMM. 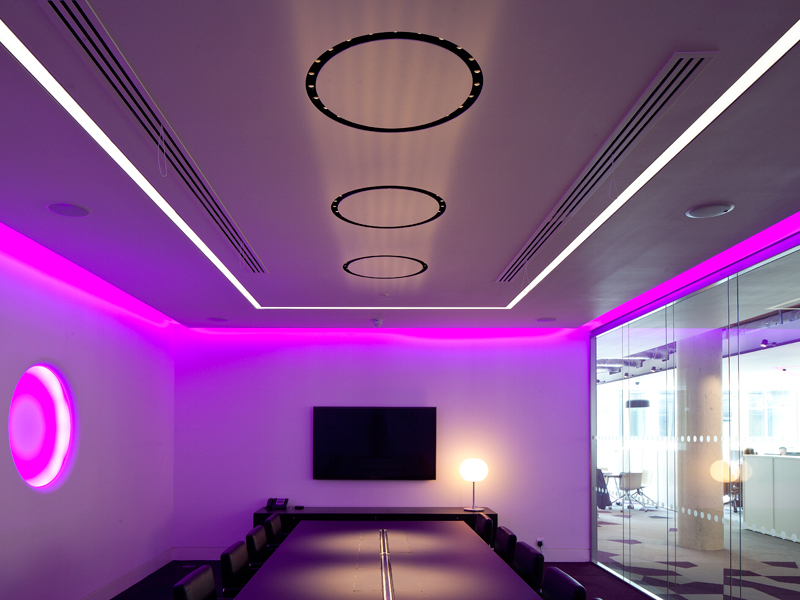 BDP was briefed on creating a space to not only accommodate some 40 staff and associated facilities such as a kitchen and client meeting spaces, but also to house the wide range of lighting products and solutions supplied by Atrium. Alongside the day-to-day activities, the showroom will also be used for events and functions, for which BDP was also tasked with creating a bar area and a 50-seat seminar space for talks and presentations. 'We developed a very contemporary design for the new space, echoing the aesthetic of the brands and the building itself,' says BDP's design director Mark Simpson. 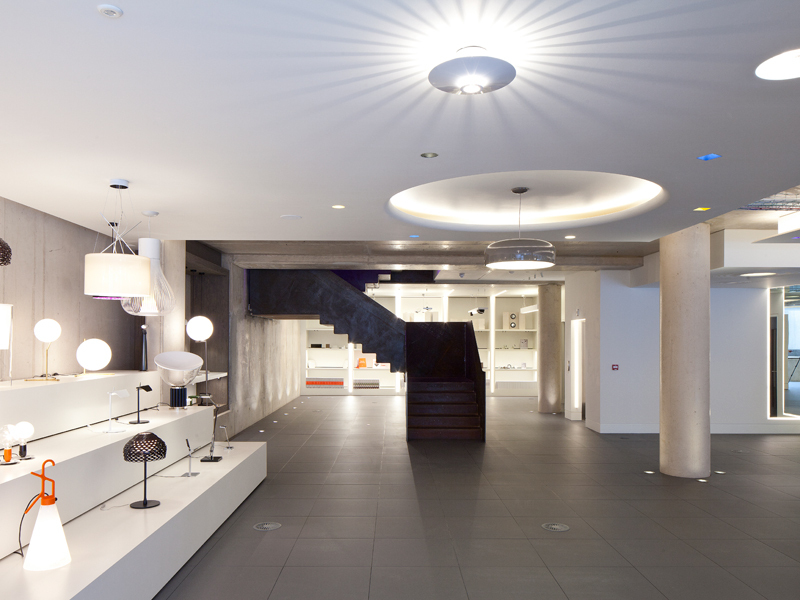 The original design lent itself well to Atrium's new showroom design, with its double-height spaces at both the front and rear of the building, the perfect setting for some of Flos's larger lighting pieces and pendants. Much of the interior uses exposed raw concrete walls and columns, which BDP decided to retain in its design of the showroom office space. Simpson says: 'We decided to keep as much of the base material as possible. 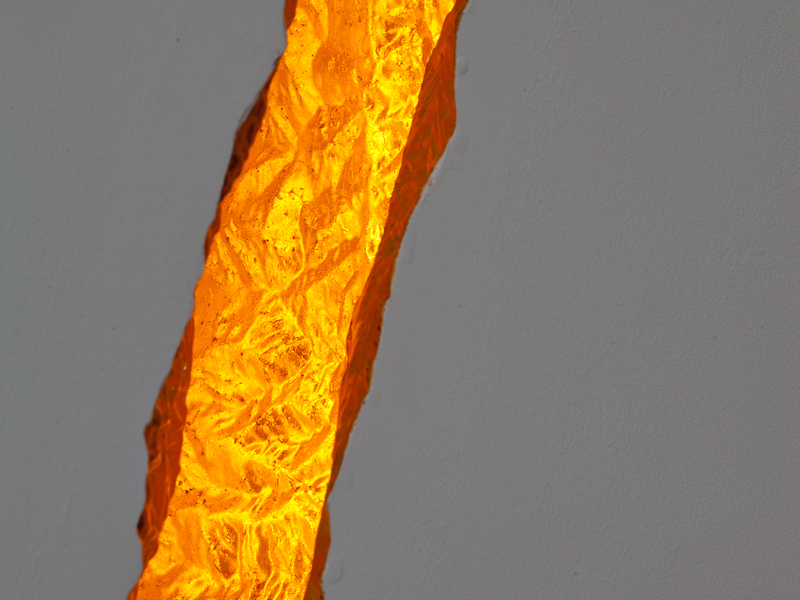 The raw finishes work very well against the finely engineered lighting products on show.' The office and meeting spaces occupy the ground floor of the building. Flos's Super Flat and Light Cut systems, along with LTS's Light Channel, illuminate the open-plan work areas while the meeting rooms display dramatic suspended luminaries, including Sky Garden, by Marcel Wanders. BDP selected Vorwerk's new carpet tile for the office flooring. This uses a kite shape rather than the conventional square. The team used various colours to create a number of patterns on the floor with colours converging and becoming more intense in the meeting rooms. Set on the lower ground floor, the showroom space houses the full range of Italian brand Flos's decorative lighting collection set against an impressive 'show wall'. 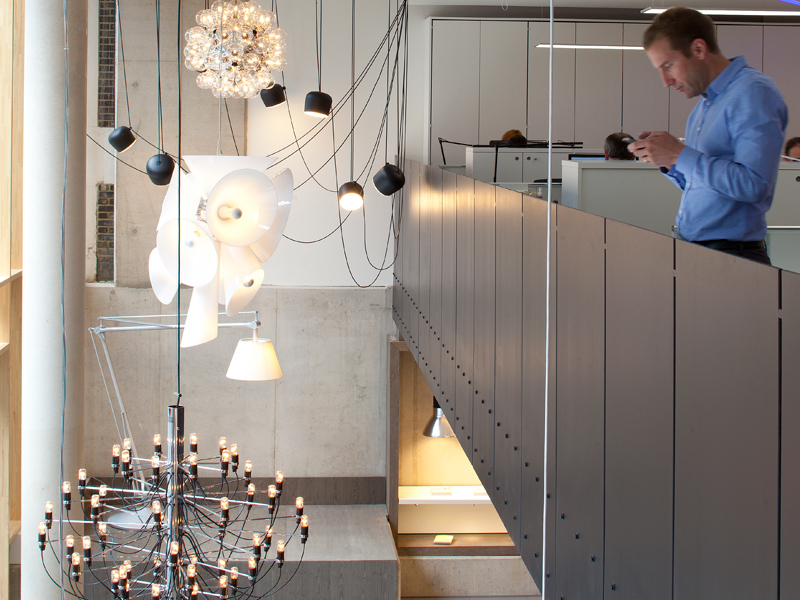 Atrium is the sole UK distributor for Flos as well as German-based LTS and the Belgian lighting brand Modular. With this is mind BDP set about creating areas to display and celebrate the various capabilities and aesthetics of each brand's lighting. 'The showroom space is very large, perhaps the largest lighting showroom in London, and is intended to display the three brands,' says Simpson,with BDP experimenting with lighting forms in order to display the ranges to their best advantage.